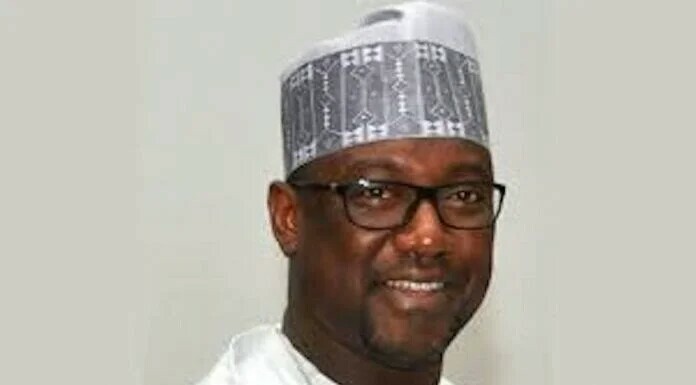 The Governor of Niger state, Abubakar Sani Bello was recently spotted eating a local restaurant in the state capital, Minna. Immediate Ekiti state Governor, Ayodele Fayose is well known for the act, it seems he has set a legacy which is now being emulated by Politicians. 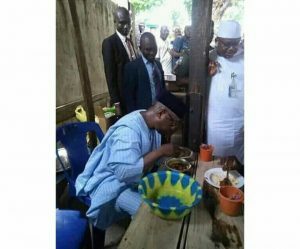 Recently, Hon Patrick Obiahiangbon was also spotted eating a loaf of bread with a soft dring by the road side in Edo state.